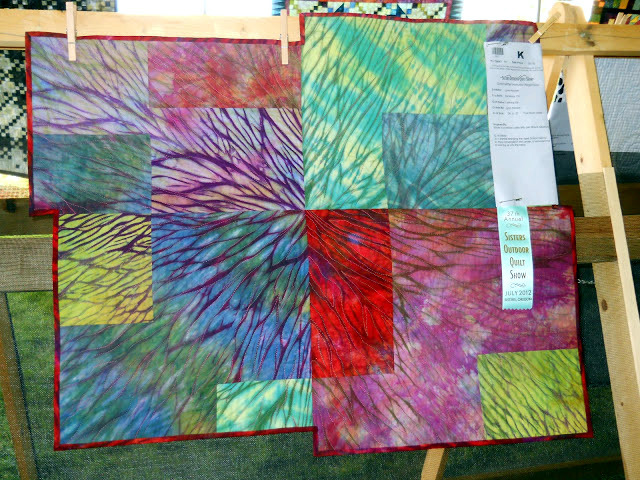 The Teacher's Tent at the Sisters Outdoor Quilt Show is one of those 'do not miss!' 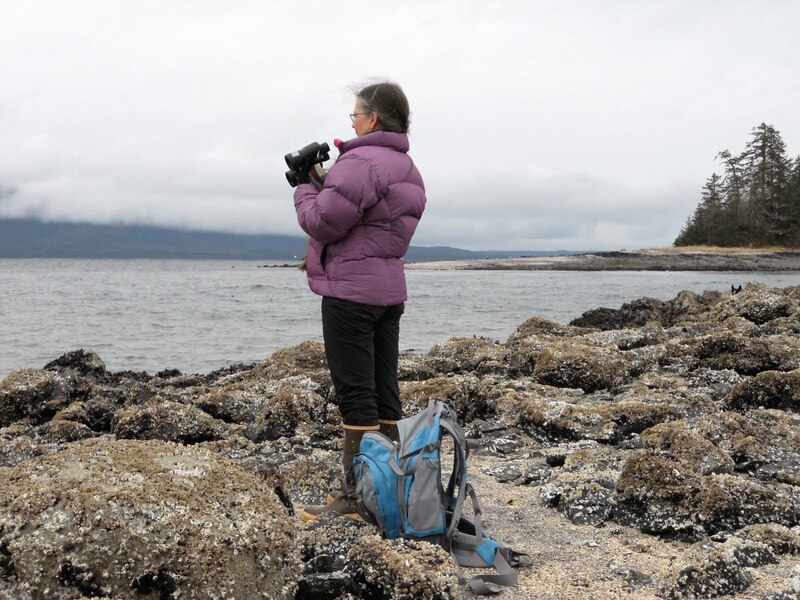 locations for some truly fabulous quilts. And 2012 was a 'banner year'! 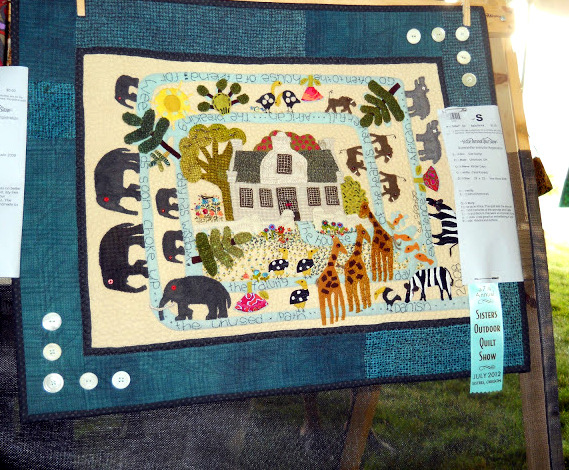 As the name says, it is where all of the quilts made by the various professional quilters..the teachers of the 'Quilter's Affaire' week long series of classes that run the whole week preceding the quilt show are displayed. And that display is so fun, and so inspirational that it truly makes you wish you could have taken at least one of their classes. Unfortunately, the classes come at premium values..just to get into one requires a combination of applying on the opening day of registration, and picked many, many alternate choices to just get into one of them, much less multiples. But the next best thing, to individual classes is seeing each of their submitted classes on display i the 'Teachers' Tent." 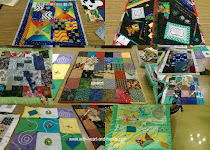 My overwhelming feeling was that as is evidenced by the quilts at Sisters and most noticeably by the teacher's quilt..the tidal wave of modern, liberated, and most of all 'art' quilts are charging through most of the traditional barriers of the set patterns of scrappy quilts or simple color combos that we have all seen for so many years. 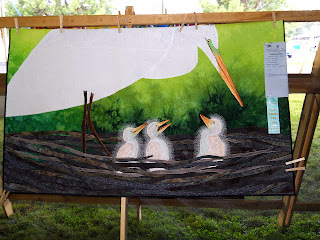 Even the most traditional of quilters are now letting loose with their creative imaginations and entering the brave new world of one of a kind designs and breaking away from the old tried and true quilts, more and more. 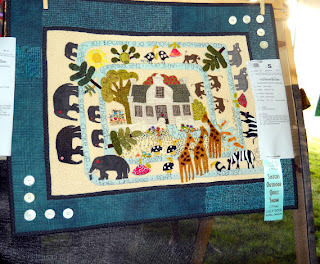 The very feeling of the Sisters Outdoor Quilt Show, where anyone can have their quilts shown, their is no overall judging except in select competitions that others have introduced, truly changes our whole view of quilts for the sheer love of making and displaying them. Teachers from the 2012 Quilter's Affair classes (which preceded the Sisters Outdoor Quilt Show) are listed below. 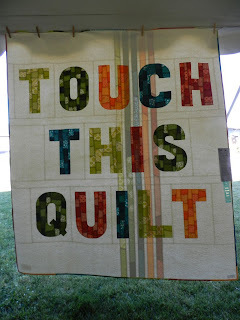 Can you even begin to guess which quilter made any of the quilts that I have shown in this post? I agree! Those were some of my favorite quilts from the show. We got there just as the rain had started so I think they had taken down some of the quilts (so I am happy to see them here!). 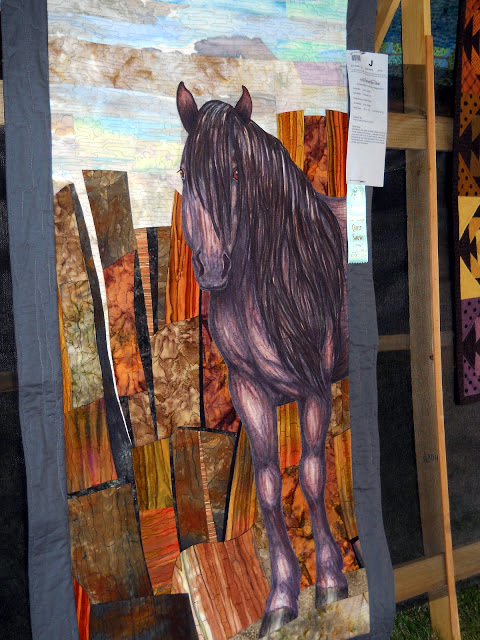 The show was a great mix of modern and traditional quilts. I had my sister with me (who is not a quilter) and I was trying to explain the differences to her. You got some great pictures! What an amazing feast for the eyes! I felt my heart pounding from all the energy; someday I'm going to go to this show in person. thank you so much for this post! Wow! These are just plain fabulous! I'm so glad took so many photos and I have a feeling you probably have lots more you will share too! LOVE these! 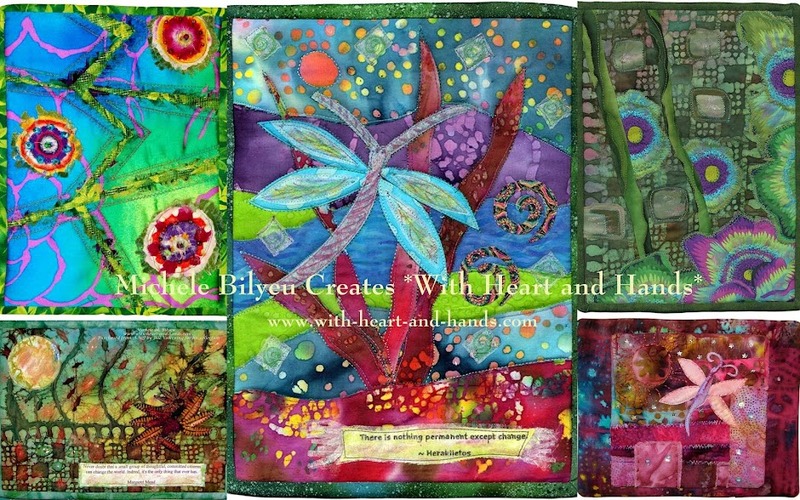 Thank you for sharing these beautiful, inspiring art quilts! Wow! 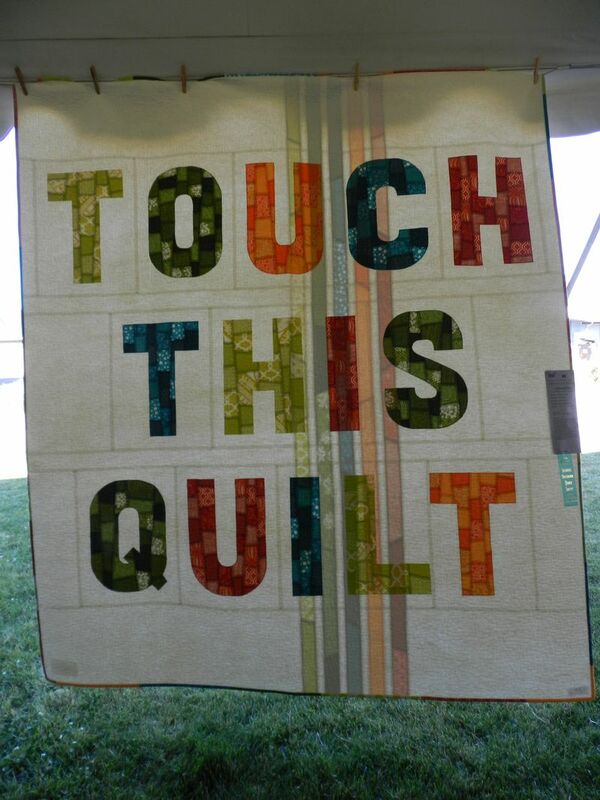 What an inspiring collection of quilts! Thanks Michele. Some of the most interesting quilts that I have ever seen. Amazing!